An exceptionally rare opportunity to purchase this stunning, detached, family residence, dating back to the mid 1800’s, situated in an elevated, most enviable location between Harrogate and Knaresborough. 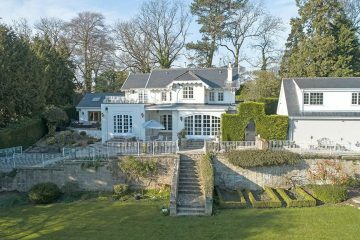 The property has extensive, meticulously maintained grounds with a large sun deck, patios, gardens and steps to the River Nidd. The layout is incredibly versatile and the property truly requires an internal inspection to appreciate the spacious, well planned and beautifully presented accommodation which has the benefit of double glazing, central heating, alarm, CCTV and many period features. The accommodation comprises: Entrance porch, reception hall, cloakroom with wc, beautiful drawing room with feature fireplace, dining room, study, sitting room with patio doors to the rear, fabulous luxury breakfast kitchen with oak units, Belfast sink, hot water tap, dishwasher, American style fridge freezer and underfloor heating being open plan to a spacious, extended, family room with open trusses, four large velux windows and bi-fold doors opening onto a patio area and separate utility room. To the first floor is a master suite with a range of fitted wardrobes, double doors to a large sun deck with fabulous views and a contemporary en-suite shower room. The guest bedroom also has a contemporary en-suite shower room and there are two further double bedrooms and house bathroom. 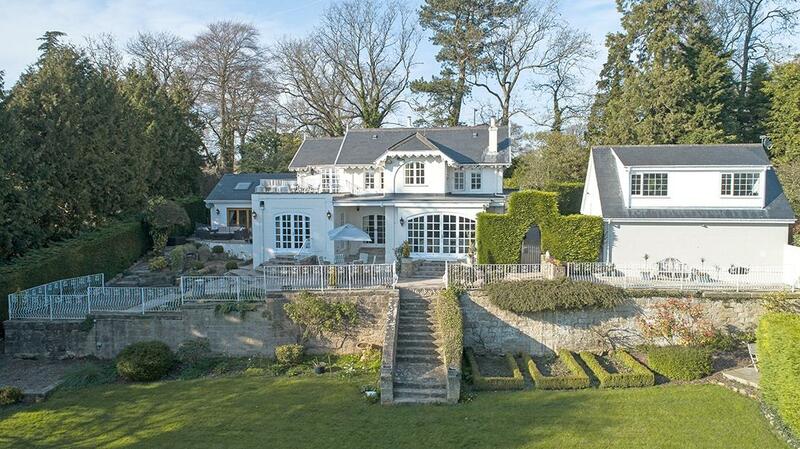 One of the main features of this fabulous property are the well kept, landscaped gardens. To the side of the property is a well established embankment garden with feature, man made stream, security lighting and mature boundary hedge line. To the rear of the property are fabulous, flagged patio gardens and a barbecue area. From the patios stone steps lead to extensive, lawned gardens with mature trees, flowering borders and boundary hedging. Further garden areas with hand gate lead to a pathway and steps to an embankment garden and the River Nidd, offering full riparian fishing and boating rights. From Knaresborough take the High Street (A59) towards Harrogate and at the traffic lights turn right into High Bond End (B6165), in turn becoming Ripley Road, where the property is situated on the left hand side. The property has been placed in band G.